Telmaco is a leading European AudioVisual and Broadcast Systems Provider located in Athens, Greece. Although, Telmaco traditionally operates in Greece and Cyprus and has established regional offices in Thessaloniki and Nicosia, the last 5 years has expanded its operations abroad and has already completed projects in the Balkans, Middle East, Asia and Africa. Telmaco is involved in 3 main areas : – AudioVisual and Lighting – Broadcast Television and Radio Systems – Communications Systems for RF & Telecomms. From the most prestigious, award-winning productions, to music and movies made at home, Avid creates the technology that people use to make the most listened to, most watched and most loved media in the world. For more than 25 years, Avid’s award-winning video and audio production solutions is used to produce today’s most popular primetime television shows, feature films, commercials, and chart-topping pop music hits. Two Thirty Five is a film post-production company, based in Athens, Greece. It was established in July 2007 by experienced professionals with more than fifteen years each in the field. It serves the international film industry, working across all acquisition and distribution formats, both analog and digital. The company has completed work on 40 feature films, 63 short films and 13 documentaries. With a continuous and stable course for the past 30 years in the Greek market McManios company is one of the most active importers of accessories for TV and Film Productions and has evolved into becoming one of the most important importers of accessories in Greece, in use at every local studio and shooting location. McManios is representing a number of the leading, innovative and dependable manufacturing companies of the broadcasting industry. Authorwave was founded in 2007 to offer post production services and camera equipment for TV channels, production and distribution companies. Since 2011, our company was eventually involved in numerous projects and co-produced films in all possible genres and aspects of the audiovisual sector. We now offer full post-production services and complete packages of digital cinema camera-equipment, while at the same time we try to support various events in the filmmaking community. Arctos Broadcast Facilities S.A offers 15 years of experience in professional broadcast and film production services. Arctos S.A. extends it’s services from production support and equipment rental to production services for foreign companies, co-production and complete production of TV commercials, Feature films and Documentaries, Corporate Videos, Short films and Music Videos, Post Production Facilities, as well as Audio Visual support for conferences and special events. 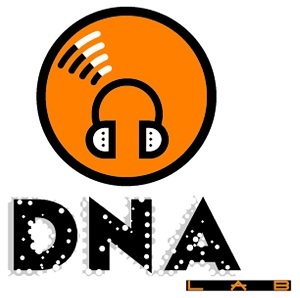 Dna Lab is amusic and audio post production multitask force. We are team of composers, musicians, producers, sound editors, sound designers, mixers that creates, handles, curates and even distributes audible entities. Costas Varibopiotis, a distinguished Sound Mixer of the New Greek Cinema, has produced among others the mix for a number of Turkish, Serbian and Bulgarian productions. 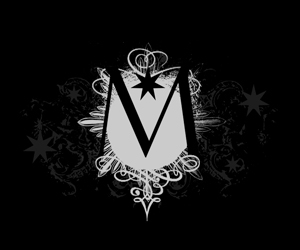 Melancholy Star is a newly emergent boutique VFX, Art & Film Studio, based in London.he company is the vision of director/VFX artist Konstantinos Koutsoliotas & designer Elizabeth E. Schuch: a creative studio providing top quality VFX, uniquely styled art services, and producing highly visual films – always with an intense passion for aesthetic quality. The beautiful, the fantastical, and the eccentric are always in the forefront of our imaginations, and we foster a creative environment that thrives on collaboration.